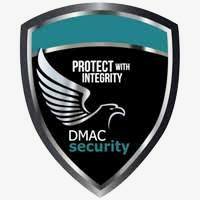 When it comes to peace of mind, you can never have too much, and we all know it here at DMAC Security. Refuse to worry and fret, nip uncertainty in the bud, and rest assured that your place of business and its assets are secure and well taken care of. We take our craft very seriously, and offer tier-1 security solutions. When the chips are down, DMAC Security is a reliable and professional security personnel firm, and we focus on communicating with our clients. IF anything should happen on our watch, our personnel will show skill-set mastery and take control of the situation before it evolves and manifests into something far more disastrous. Security is our chosen craft and we are dedicated to our craft.